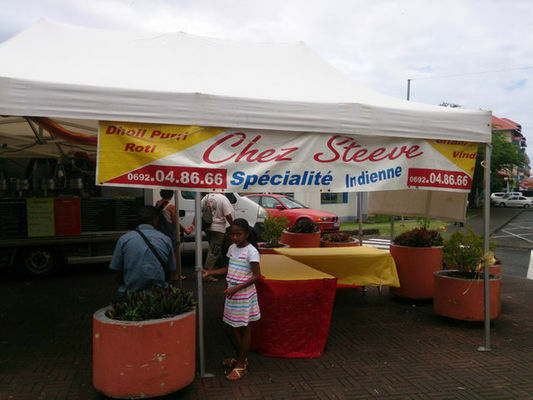 Located in Saint-André, "Chez Steeve" serves Chinese and Creole cuisine, as well as Indian specialities. This bar truck by the City Hall sells a variety of dishes of the day to take away. Open every day at lunchtime and on Saturday evening, closed on Mondays. Chez Steeve is open at the Ermitage market on Sundays and on the first Saturday of the month at Le Barachois.